Kuku Kube is a simple looking but insanely challenging color quiz that tests your eyes ability to differentiate shades of color. 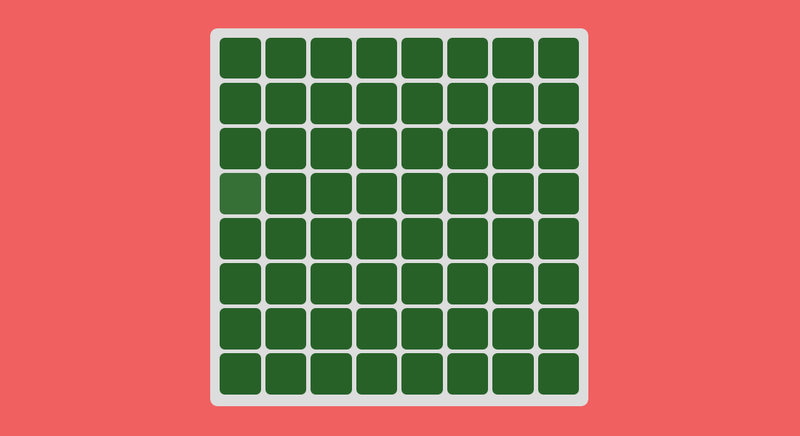 The game starts out easy with a puzzle containing four huge squares with an odd shade that is easy to spot. As the 1-minute timer ticks and the player progresses, the squares increase in numbers and the odd shades become less obvious that makes you want to max out your screen contrast and brightness. You also probably need to play a couple of rounds to score better. At first try I managed to score a measly 17. My final score was 26. Hit the button below to test your eyes accuracy. You can also try it out on mobile devices. Sani Halid is a front-end developer at Stampede and is committed to clean and elegant code. Yet another gamer to join the pack, Sani is also the Editor at Constructs where he shares his daily CSS findings and other front-end development goods.